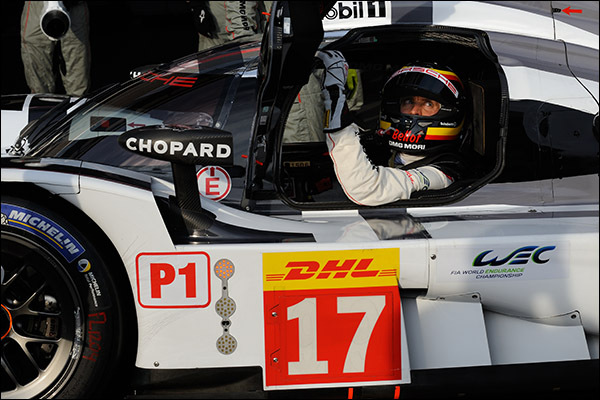 Brendon Hartley, Timo Bernhard and Mark Webber will start Saturday’s 2015 WEC Spa 6 Hours race from pole position in the #17 Porsche 919, following a storming performance from Hartley and Bernhard in Friday evening’s qualifying. 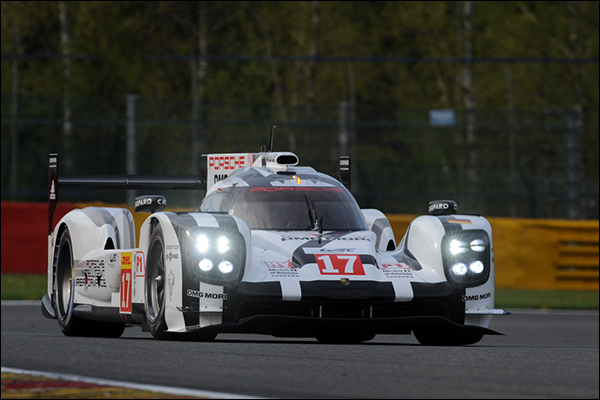 Porsche locked out the top three positions, with the #19 starting second and the #18 starting third. The 25-minute session started on time at 6:35pm local time, with clear, mild and dry conditions greeting the drivers. Nico Hulkenberg’s first flying lap in the #19 was a staggeringly quick 1:55.130 – shattering the Spa LMP1 lap record yet again, followed by a 1:54.779 by Hartley and a 1:55.230 from Neel Jani to put the #18 provisionally third. Lotterer’s first effort in the #7 Audi was a 1:55.230, improving to a 1:55.114 next time around to hold second. Fassler couldn’t improve on Lotterer’s earlier time, however, and the subsequent quicker Porsche laps left the #7 as the best-placed Audi in fourth. 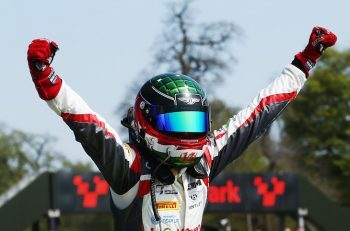 Bernhard took over from Hartley as second qualifying driver in the #17 Porsche and went fractionally quicker with a 1:54.755 to take the car’s average down to 1:54.767. Nick Tandy then stepped in for Hulkenberg and did a 1:54.920 to get the #19 into second place on average. Marc Lieb then made it three Porsches in the top three with a 1:55.230 to take his car’s average to 1:55.284. 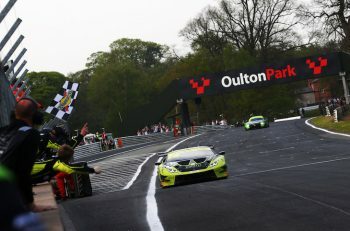 Toyota never threatened the top of the timing screens throughout, with reigning world champions Anthony Davidson and Sebastien Buemi holding fifth for a time, before being usurped by Loic Duval and Lucas DiGrassi in the #8 Audi and dropping to sixth. Mike Conway and Stephane Sarrazin were seventh in the other Toyota, ahead of Rene Rast and Filipe Albequerque in the high-downforce #9 Audi, which qualified eighth just ahead of the sole P1 privateer entry, the ByKolles CLM. Sam Bird opened proceedings here in the #26 G-Drive with a 2:07.110, just ahead of Signatech’s Ollie Webb (2:07:741) and KCMG’s Matt Howson (2:08.678). Howson’s new team-mate Nicolas Lapierre then elevated the #47 car to provisional pole with his lap of 2:07.268, ahead of Pierre Ragues in the #43 SARD-Morand. Pole then changed hands again though towards the end of the session thanks to Bird’s team-mate Julien Canal’s efforts in the #26. 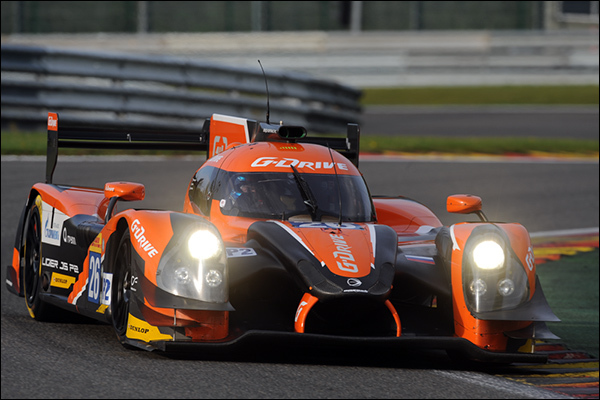 The second G-Drive car qualified fourth, just ahead of the Jota Sport Gibson, whose driver Hary Tincknell set the fastest individual LMP2 time of the session.